Why Did I Listen To A Most Extraordinary Pursuit? So, as it turns out A Strange Scottish Shore is actually the second book in a series, or I think a duology. I needed to read book one after learning that tidbit of information. Thankfully my trusty library had A Most Extraordinary Pursuit by Juliana Gray via Overdrive on hand. This audiobook is also narrated by Nicola Barbour who is familiar to me and whom I really enjoy. So, it made absolute sense to listen to this one ASAP, especially given that A Strange Scottish Shore was due back with no chances of renewal. Main character Emmeline Truelove was working as secretary to the Duke of Olympia until he died all of a sudden. His heir, Max Haywood is nowhere to be found. The widow sends Emmeline and this guy, Lord Silverton, in pursuit of Haywood. Meanwhile, there’s also a minotaur myth mini story in between the looking for Max. Actually, that story is written by Max. ALSO! Emmaline sees ghosts, by which I mean she sees a Queen and her late father. Emmeline’s mother is also dead, having died when she was like six, if I remember correctly. Anyways, there’s flirtation and such FOR DAYS. And a little smidge of time travel. How Did I Like A Most Extraordinary Pursuit? A Most Extraordinary Pursuit was a pretty decent listen. Would I read it again? Probably not. However, I am interested enough to continue onto the next book. I liked all the different weird little elements with this book. The Queen is actually kind of funny during her odd moments. Her father is sweet. And okay, I was totally here for the bits between Lord Silverton and Emmeline Truelove. 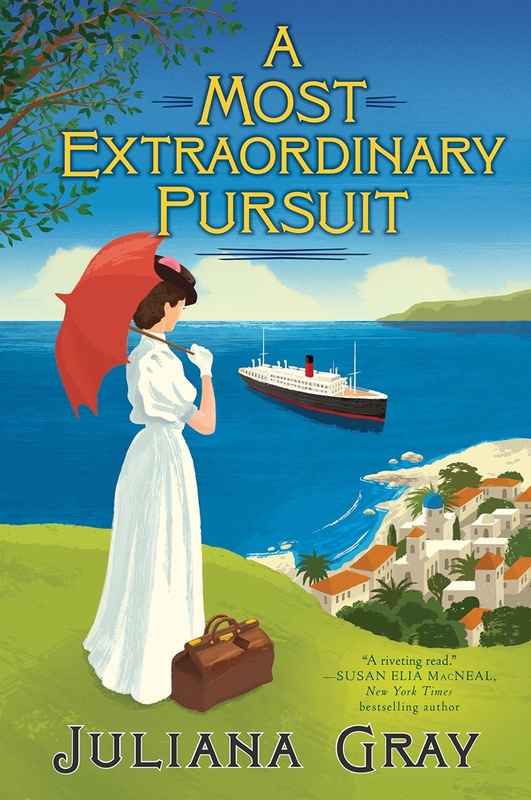 The audiobook of A Most Extraordinary Pursuit is narrated by Nicola Barber. Of course, I love her narration. I feel like I haven’t listened to enough books where she has narrated. The audiobook is 11 hours and 10 minutes long. I listened to it at a higher speed. Overall, I’d recommend giving this book a shot via audiobook. But Haywood and Truelove soon realize they're not the only ones interested in the selkie's strange hide. When their mutual friend Lord Silverton vanishes in the night from an Edinburgh street, their quest takes a dangerous turn through time, which puts Haywood's extraordinary talents--and Truelove's courage--to their most breathtaking test yet. Why Did I Listen To A Strange Scottish Shore? 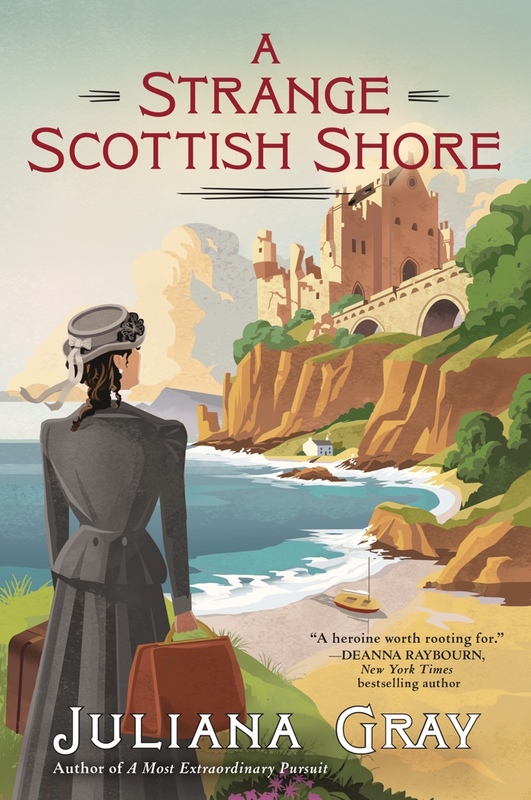 Initially, my interest was peaked in A Strange Scottish Shore by Juliana Gray by the cover. I love how vintage it feels, like something you would find at a thrift store. It’s weird but the cover really gives a good sense of time and place. I decided to listen to this book based off my interest in Scotland and historical fiction with a romantic twist. At the time, I did not know there was a book that preceded this one. However, I responsibly listened to book one, and here we are at book two which given how long I had to wait for my Overdrive hold to come in, meant I HAD to listen to it. Emmeline Truelove and her employer Max Hayward are called by a mysterious artifact, a selkie suit. There’s a pretty big legend surrounding the suit. A woman rose from the sea and married the first laird of the castle while wearing the suit. Regardless, Lord Silverton disappears off the street in Scotland. Then, Emmeline travels back in time to like the 1300s if I recall correctly. This is where she reconnects with Lord Silverton who is also in this time. Silverton is now a fisherman. Meanwhile, he and Emmeline must get married to protect Emmeline in this time. Of course, they consummate the marriage. A few times. And well, we learn the truth behind the selkie suit and the myth and about another woman who is in this time period. There’s more time travel and drama. How Did I Like A Strange Scottish Shore? Well, I liked that there’s a wedding. I like that two characters I wanted to get together finally do so. Granted, that was because of the circumstance. However, it is just SO right what happens. In addition, there’s a lot of suspense in this story. AND THERE ARE BABIES which now that I have one, I am actually interested in them. I ended up liking A Strange Scottish Shore a bit more than A Most Extraordinary Pursuit. So, in a weird turn of events there is a different narrator for this sequel. Typically that is a thing that annoys me. I think that audiobook series should have the same narrator throughout. However, judging the new narrator on her own merits is something I can do. Gemma Massot narrates A Strange Scottish Shore by Juliana Gray. I think that her voice is less melodic than Nicola Barber. However, she adds a bit more emotion and gravitas. I really enjoyed Massot’s narration overall. I ended up liking this audiobook a bit better and retaining more. So, I would certainly recommend listening to these books. A Strange Scottish Shore is 12 hours and 18 minutes unabridged.